DANIEL E. FORREST is a graduate of the University of Florida (B.A., 2002) and Nova Southeastern University School of Law (J.D., 2006). He is Board Certified in Marital and Family Law by The Florida Bar's Board of Legal Specialization and Education. Mr. Forrest has received Martindale-Hubbell's esteemed "AV- Preeminent" rating, which recognizes lawyers with the highest ethical standards and professional ability. He has been selected for inclusion in Super Lawyers® ("Rising Stars") Magazine for 2010, 2011, 2014, 2015 and 2016, an honor afforded to no more than 2.5 percent of lawyers in Florida. Mr. Forrest is also certified by the Florida Supreme Court as a Florida Supreme Court Certified Family Mediator. 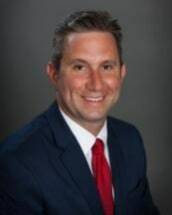 He was honored with the distinction of receiving 5.0 out of 5.0 Overall Peer Rating in Family Law, which is the highest possible ranking given by Martindale-Hubble and serves a testament to the fact that fellow attorneys consider Mr. Forrest at the highest level of professional excellence. Only a select group of attorneys are ever awarded with this premier distinction. Mr. Forrest is a member of the Family Law Section of the Florida Bar, Broward County Bar Association, and American Bar Association. He authored Chapter 2 (Grounds For Dissolution And Effect Of Fault) of the 10th, 11th, and 12th Editions of The Florida Bar's complete guide to dissolution of marriage, entitled, Florida Dissolution of Marriage. He is admitted to practice law in the State of Florida, as well as the Southern, Middle, and Northern Districts of the U.S. District Courts of Florida and the U.S. Court of Appeals for the 11th Circuit. Mr. Forrest is a member of the Family Law Section of the American Bar Association. He has been a frequent guest lecturer at Nova Southeastern University Law School's Family Law Litigation Workshop. Mr. Forrest specializes in all matrimonial and family law matters, including divorce, paternity, premarital agreements, domestic violence, enforcement, contempt, alimony, child support, custody, visitation, parenting plans, time-sharing, equitable distribution, property division, restraining orders, mediation, and post-judgment modifications. His practice is fully devoted to complex marital and family law cases, allowing Mr. Forrest to offer clients the in-depth legal knowledge they may require. His clients consist of successful professionals, physicians, athletes, entertainers, entrepreneurs, businesspersons as well as attorneys. Mr. Forrest prides himself in his ability to settle sophisticated cases without the need for prolonged litigation. When the input of a court is necessary, however, Mr. Forrest has the experience, special knowledge, skills, and proficiency in law to achieve maximum results for his clients. He has been evaluated by The Florida Bar for professionalism, and tested for expertise. Mr. Forrest is recognized and certified by The Florida Bar as having the highest level of competency and experience in marital and family law. Mr. Forrest is competitive, but compassionate, and always strives to achieve the best results for his clients.